. :: Riverside Engineering Inc. - San Antonio, Texas USA ::. 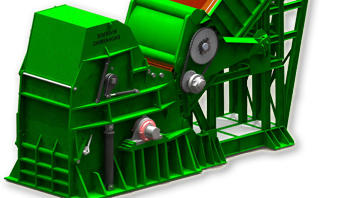 Riverside Engineering is committed to providing its metal recycling customers with enduring competitive advantage based on innovative shredder designs, technology and engineering services. Strategic Vision - The vision of Riverside Engineering is to provide high value metal shredding solutions into the recycling industry. This vision requires that we remain innovative and responsive to changing market demands in the delivery of our engineering services and products. We will focus our sales and marketing efforts on the customers that we feel we can serve the best at the high standards that they deserve. Our focused marketing efforts will allow us to work closely with customers and suppliers in the development of new designs and solutions. Riverside's shredder design, fabrication, controls, downstream products and service offerings will be driven by recognizing the needs of our targeted customers. Riverside Engineering takes pride in close working relationships with our customers. Customer satisfaction will always remain the number one priority of Riverside employees. The employees of Riverside , and the company collectively, will conduct themselves based on our guiding principle: Honesty and Integrity. We will employ highly motivated, energetic, well-trained and productive employees by offering a challenging work environment, competitive compensation and involved management. We will seek profitable growth in our target markets and expand relationships with our existing customers and strive to achieve superior financial performance. Riverside Engineering will grow to be the premier metal shredder engineering services organization in the world based on our performance and reputation.